The Pakistan National Council of the Arts (PNCA) in collaboration with Ministry of National Heritage and Integration has scheduled a Ghazal Night here on May 24. Renowned ghazal singers Ghulam Ali, Humera Channa, Saira Nasim and Khalil Haider will perform to provide quality entertainment for the audience of twin cities. The singers will mesmerize the audience in an effort to keep alive the classical music traditions of the country and promoting the cultural heritage among the new generations. The programme of Musical Night is a regular feature of PNCA’s activities to acknowledge the skills of the musicians and artistes and give them proper recognition, said Taqueer Nasir, Director General PNCA while talking to APP. “Pakistan has rich cultural heritage, which needs to be preserved and promoted for improving soft image of the country worldwide”, he said. 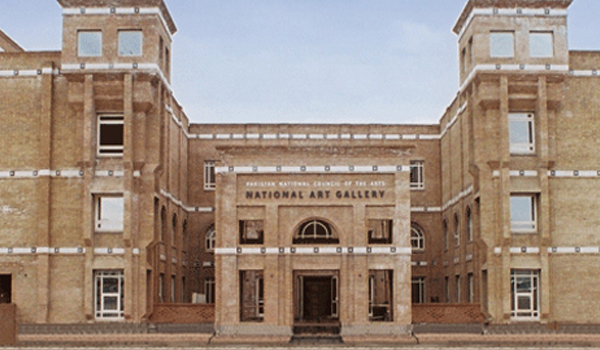 Various initiatives of PNCA endeavor to preserve the musical heritage of Pakistan with proper documentation in the field and educating youth about the value of their great heritage. The institution focuses on traditional music by inviting popular artistes to highlight their services as well as preserve musical heritage of the country, he added. Fumigation against dengue to be completed till 31st: Out of total 46 Union Councils of Rawal Town, 34 UCs have been covered under the current fumigation campaign against dengue while remaining 12 UCs are being sprayed and the campaign will be completed till May 31 said Executive District Officer, (EDO) Health Dr. Zafar Iqbal Gondal. He said that besides the spray and fogging activity, larvacide activity is also continuing and so far a large number of breeding sites have been covered under larvaciding activity in Rawalpindi district. He further said that all out efforts are also being made in this regard for public awareness in the light of the instructions of the government. He said that the current phase of anti-dengue spray in Rawal Town would be completed till May 31 as so far five Union Councils (UCs) of the city after covering all 29 sensitive UCs have been sprayed under the special anti-dengue campaign. Out of 46 union councils of Rawal Town, 29 declared sensitive from where 358 dengue patients were admitted in various city hospitals, were focused and fumigation in these UCs was completed. He urged the citizens to come forward and play their role for the elimination of the disease. He appealed the masses to cooperate with health department against dengue. The city government is taking concrete steps to control the virus while concerted efforts of all stakeholders including citizens are needed to eliminate the dengue, he added.